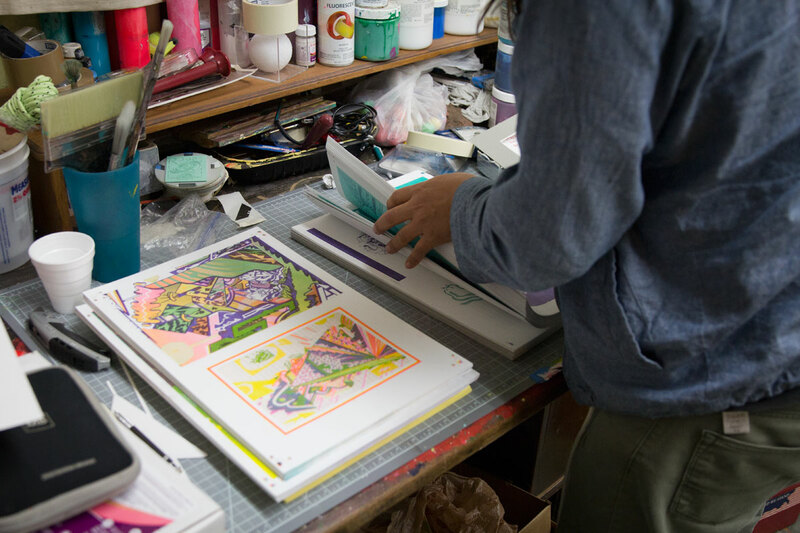 STUDIO VISIT :: HOT OFF THE NEVER PRESS. 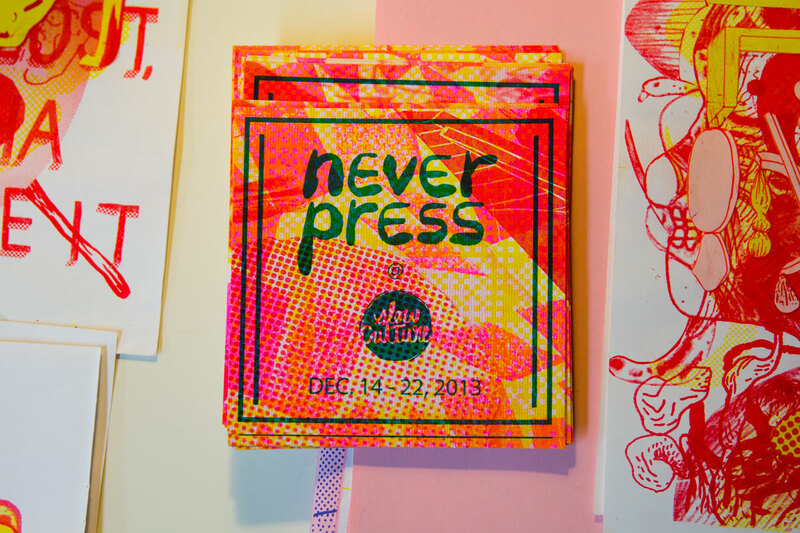 This Saturday, December 14th 2013 7-10PM, Slow Culture will be hosting risograph masters and local independent publishing house, Never Press, for a special installation and pop-up showcasing new zines + prints alongside the original artwork used to create each one. Participating artists include: Adam Ferriss, Björky, Condiment Kitchen, Gabe Gonzales, James Chong, Jason Holley, Jesse Fillingham, John Chong, Michael Olivo, Robert Hardgrave, and Chris Paybill. The gallery will be open special hours 12-6PM for the duration of the show, which closes December 22. How did Never Press begin? Never Press began as a way to continue a dialogue with our peers after art school. 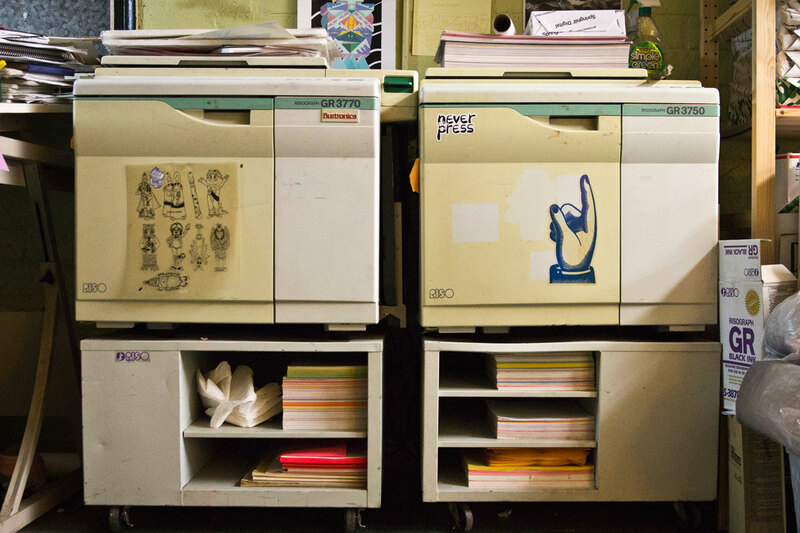 Risograph is a technology that promotes high speed and economical printing. It produces an amazing print quality that we all really enjoy. The process is similar to loading and firing a cannon on a pirate ship. 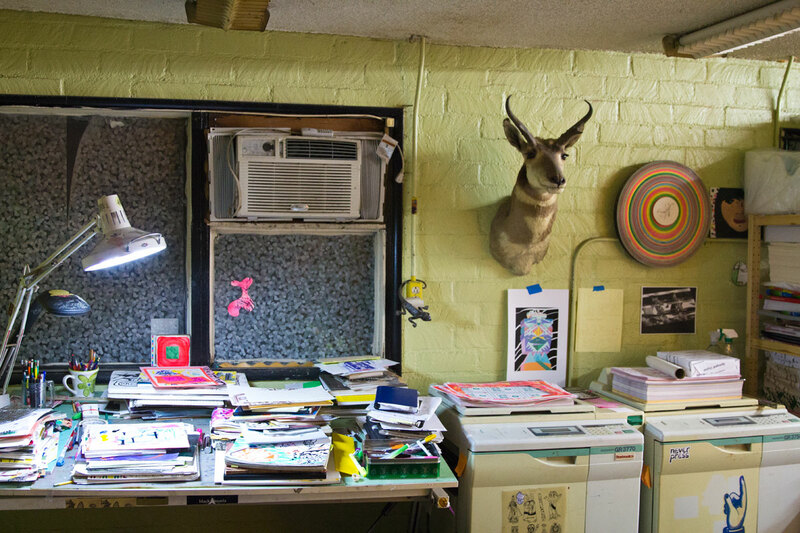 In such a digital age, why do you think it’s important to create art in such an analog fashion? Until the internet learns to ooze its creamy light into your fingertips, the tactility of the printed page will still captivate. We feel it is important to leave behind physical artifacts. You seem deeply ingrained in the Los Angeles “zine” community, what do you enjoy about being a part of it? We love the idea of contributing to and modifying culture, Never Press gives us an outlet to multiply and disseminate. There is evidence that the community is really growing as there are more and more zine events popping up around LA. 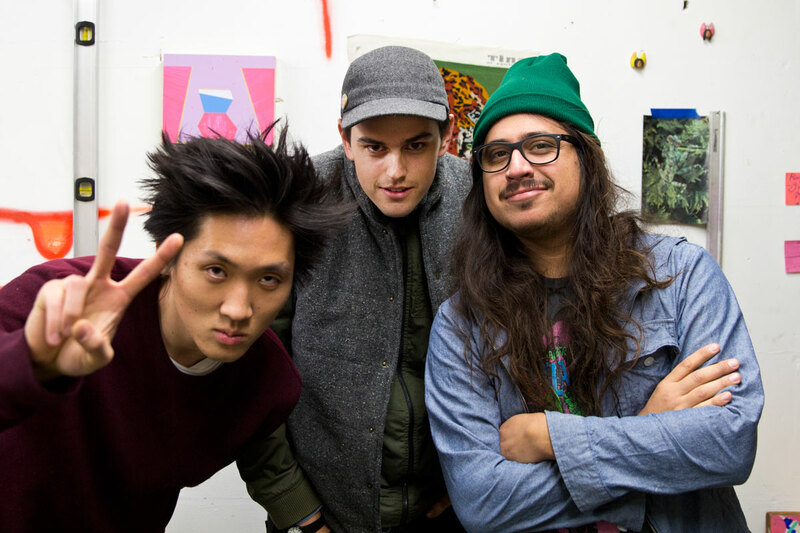 We like that anyone can make a zine and everyone is accepted. Never Press wouldn’t be here today if it weren’t for other makers inspiring and challenging us. What do you think is the future of physical publications? We believe as long as humans are physical beings, there will always be a need for physical publications. What’s next for Never Press? 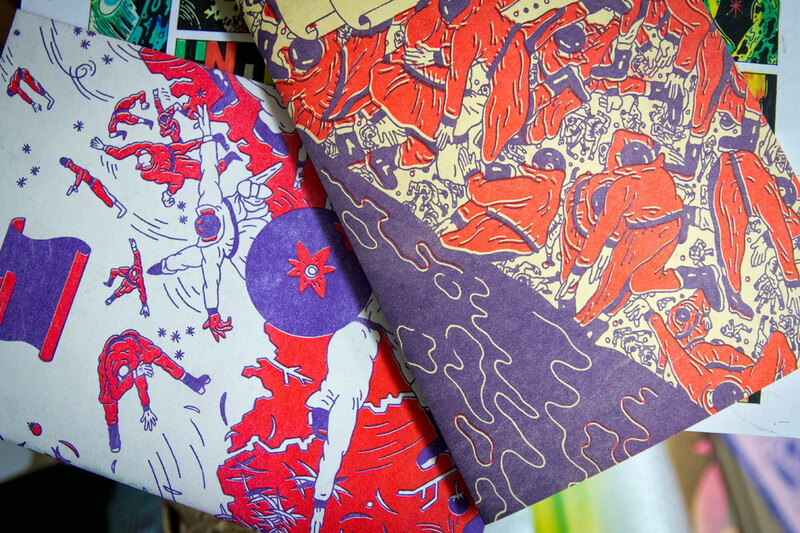 We will be participating in the LA Art Book Fair at the MOCA Geffen in the end of January. We will have some exciting new publications to debut.